The animal kingdom always has plenty of surprises for us to witness. It’s impossible to predict how any animal will react in any given situation. Take dogs. Dogs, despite their domestication, are a natural predator. Their biologically pre-programmed job is to eat things that are smaller than them. Yet, it might just be that that hint of domestication is capable of transforming the predatory nature of a dog into something completely different. 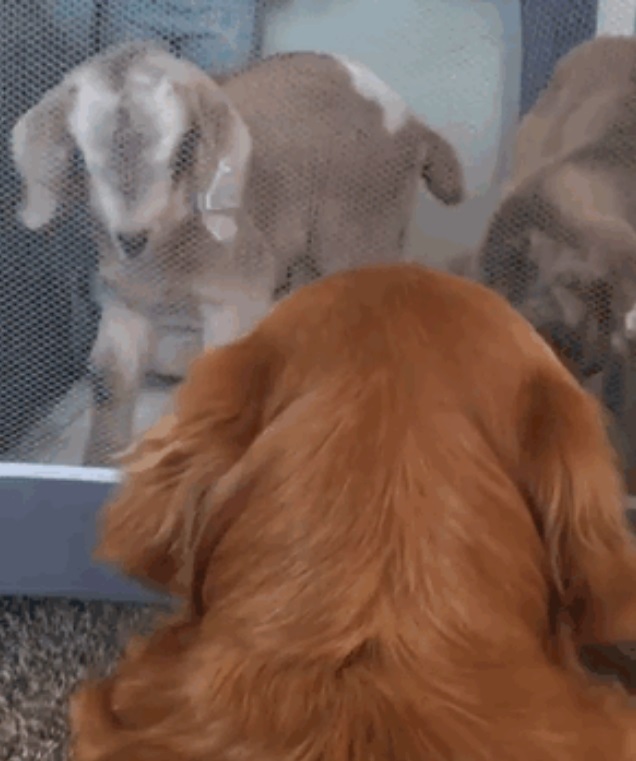 That’s what we find here – a dog acting against all its natural instincts as it tries to become the mother of a bunch of baby goats. This is Loryn. She is a golden retriever. As a breed, the golden retriever is meant to be a gun dog. That means their natural skill is to fetch game that has been shot by a hunter and to bring that game back to the hunter undamaged. That’s because nobody really wants dog tooth marks in their dinner. Golden retrievers are an ideal domestic breed of dog. They are completely at home in urban and suburban environments, though the best place to keep one is in the countryside where they can go on very long walks. The breed is famous for its natural energy and needs a bit of space to work it off in. 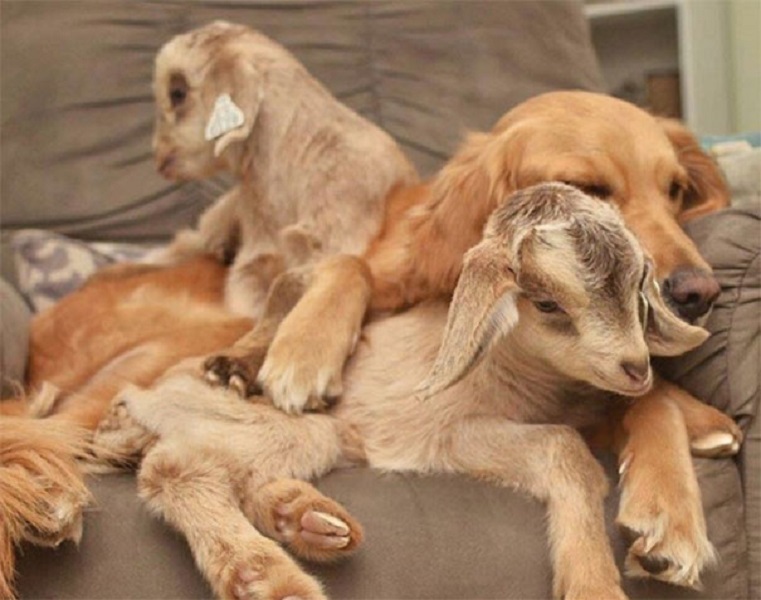 These goats are not farm animals. They’re bred and raised to be household pets. This isn’t as unusual as you may think. 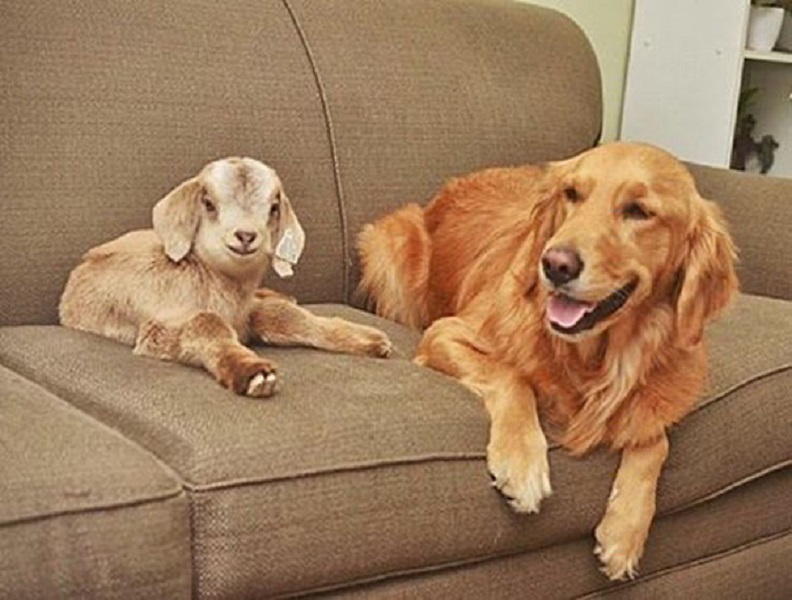 While exact figures for the number of goat-keeping households in the United States are unknown, in the United Kingdom, for example, more than 50,000 people have a pet goat. 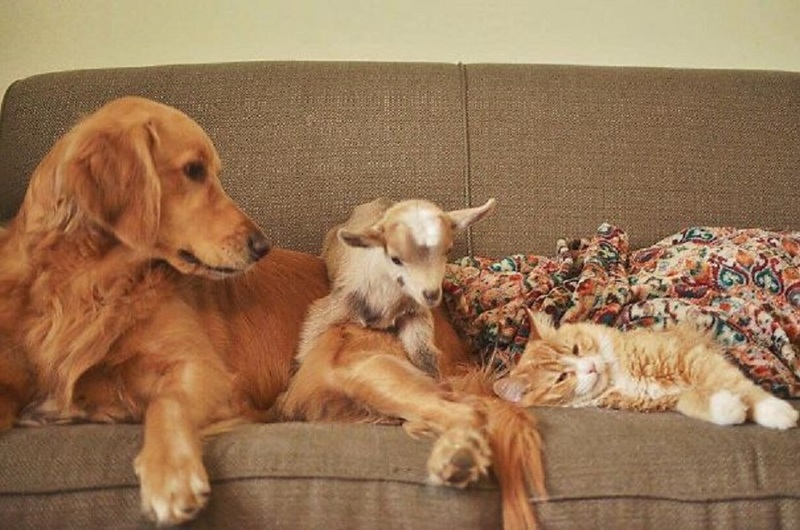 This might come as a surprise given their stubborn reputation but the evidence does bear out the fact that goats are in fact, very amenable animals in general. 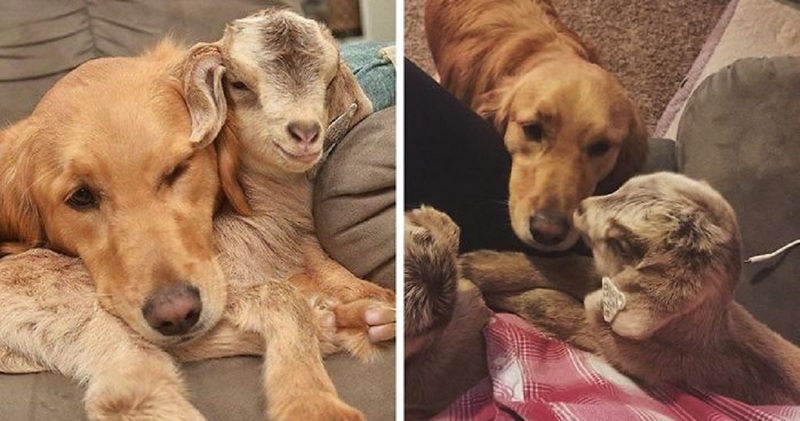 This is why so many choose to keep goats. When Loryn came into contact with the goats, Andrea says, “She’s around all the farm animals all the time, so she’s seen it all. She is truly a mother hen and takes in every baby we have here as her own.” Andrea then went on to explain how the goats reacted to their new mom.